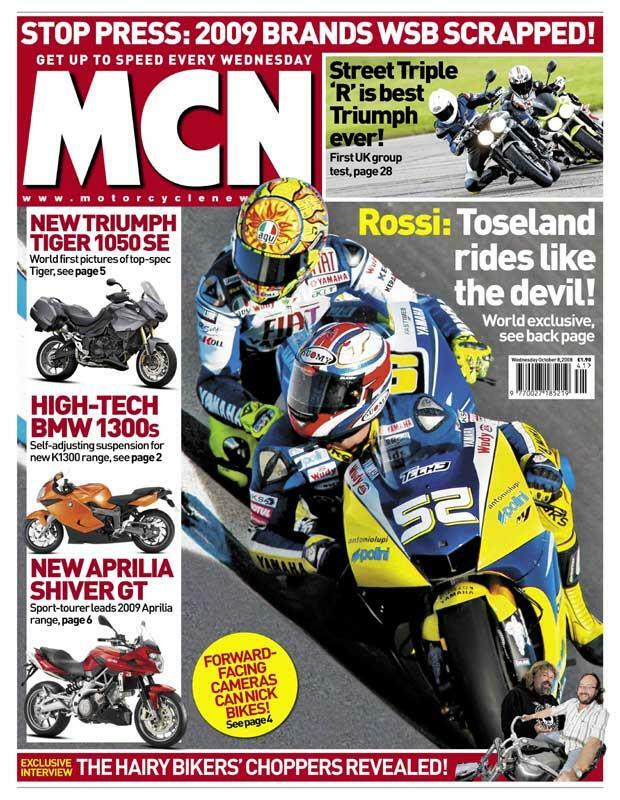 In this week's edition of MCN we bring you the first pictures and full specifications of some of BMW's high-tech 2009 range. The BMW K-series motorcycles (K1300S, K1300R and K1300GT) all get self-adjusting suspension, optional quick shifter and conventional indicator switch! Also they receive a big bore 1293cc engine, taking the power of the K1300S and K1300R to 175bhp. Also in this edition Aprilia has finally revealed a half-faired version of the Aprilia Shiver, the Aprilia Shiver GT. As well as this the Dorsoduro will be more aggresive, the Mana and Tuono R will receive new colour schemes.